On the 8th of March 2012, Micah True, a.k.a. Caballo Blanco or Whitehorse or Michael Randall Hickman or the Ghost of the Sierra Madre, wrote on his wall on Facebook: "The smiling little girl sitting on my knee says "Grampa Caballo, tell me some story."" This is how he answered: "Where to begin? The story/life, like korima, is a circle. There is no beginning. There is no end. The trail goes on forever. The Cosmos is a giant glittering electro-chemical-nuclear snake swallowing its own tail just for fun." Somewhere between the 29th of March and 1st of April 2012, Micah True found the trail with no end. His body was found by a search and rescue team after 4 days of searching. I'm not going to give any details about his life, I don't know much about him, and much that we know is biaised by McDougall's book Born to run, where he's portrayed as the depositary of the Raramuri culture and running habits. Some aspects are factual. He was a boxer. And a pretty good one he was. 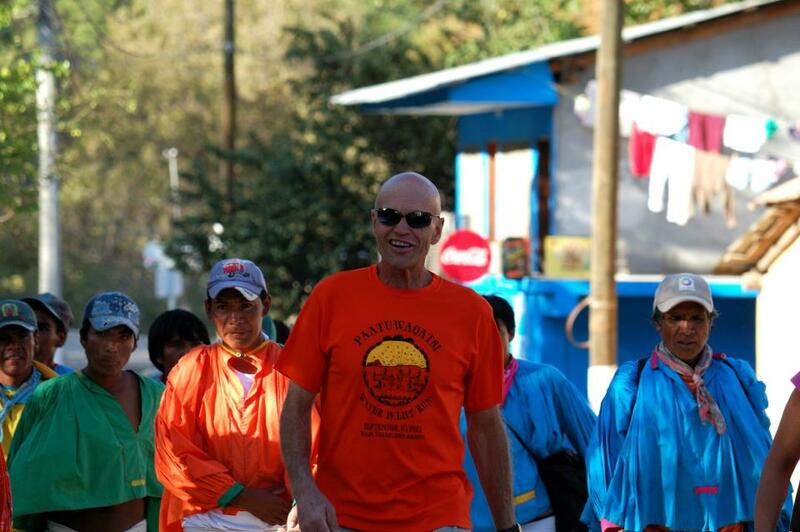 He met the Raramuri runners during the Leadville ultramarathon. He went to the Copper Canyon, a part of the state of Chihuahua, in Mexico. And he lived here. It's also true that he came to fame and that his masterwork, the Copper Canyon Ultramarathon came under the light thanks to Born to run and the famous 2006 run with Scott Jurek, Jenn Shalton, Christopher McDougall, Luis Escobar, Billy Barnett, Eric Orton, and Barefoot Ted McDonald (photos Luis Escobar). In the last photo, Micah True is discussing with McDougall in the background. 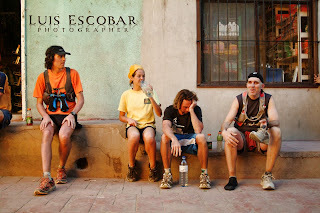 This run is the origin of three distinct but correlated fame and destiny: Christopher McDougall and theoretical minimalism; Barefoot Ted and Luna Sandals's company; Micah True and the "globalization" (meaning that more runners from other countries come) of the Copper Canyon ultra marathon (CCUM), which existed since 2003. But I'm not an expert of his biography, we weren't close friends, and he rejected explicitly to be a leader of the minimalism and bare feet trend that grew under Born to run's influence. "Less is more" was his motto in that area, meaning the shoes companies will find a way to make people pay more for less technology. 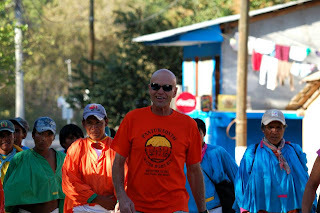 When asked about his or the Raramuri running technique, two distinct aspects were tackled: i) how to run: "run light, smoooooth", with short steps were always his words, (along with "I don't care what you shoes are"); ii) the meaning and values of running, or why we run: hope, love, respect and peace, were always his words. I can't express them better than here. Medias were more and more present in the CCUM: "Runners from 14 countries, and Hiroki Ishikawa, el Dragon de Japan wants to come, making it 15!....TV...press....journalists amd movie makers from all over the world [geeeezzzz--not my thing] but, said one; "its a public event. You have no control." Caballo has no control. I do have a voice. ", he wrote the 12th of February. And yet his enthusiasm did not fade. The 26th of February, he wrote: "This next Sunday will be one of the greatest races the world has never seen. And ya know who is going to see it? You....crazy people. Mas Locos. Mas Locos see things that "normal" people do not see. Who knows if we will get a chance like this again......Make the best of it [every day] and Run Free!" 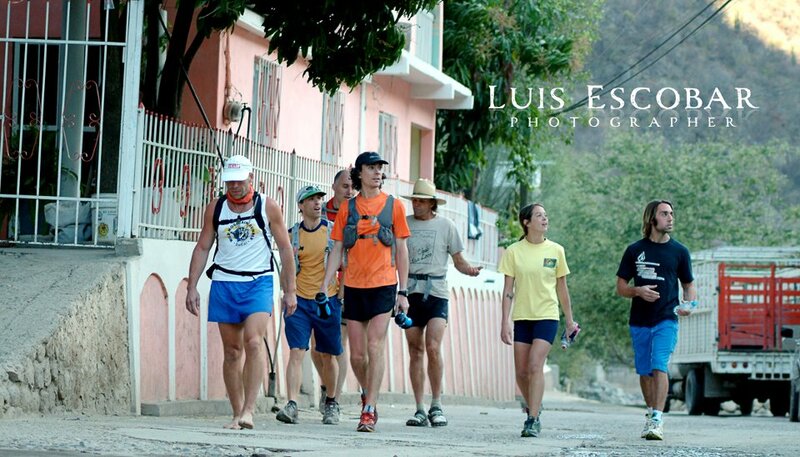 The 3rd of March, "Over 450 runners, including over 300 Raramuri are in Urique canyon for the the CCUM.....Mas Loco...….. All participants, from 15 countries along with over 300 raramuri [tarahumara runners] running for/in peace at the bottom of no-where. nowhere but beauty. kuira Ba--WE are one." He wasn't an average race manager. 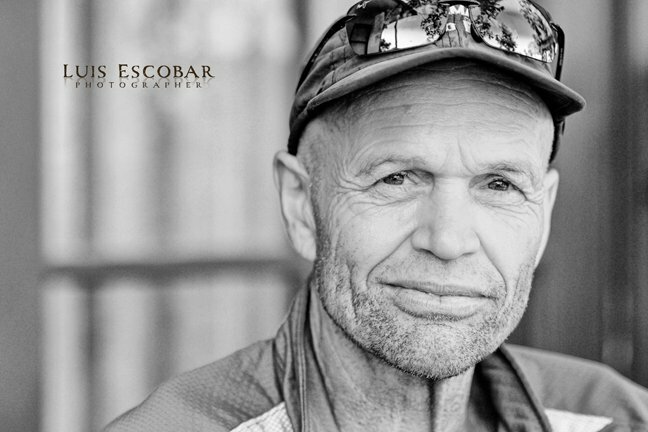 He was fond of his runners, who answered to his fondness according to the humble man he was, and to the legend he was in the ultra-running community. Who he was? Why he was who he was? I don't know and I don't pretend to know the answer. I just like what he did and his choices. Highly honorable choices. Concerning who he was, I will let him answer that question: "Caballo Blanco is no hero. Not a great anything. Just a Horse of a little different color dancing to the beat of a peaceful drum and wanting to help make a little difference in some lives. If i were to be remembered for anything at all, I would want that to be that I am/was authentic. No Mas. Run Free!" (Facebook, 13th of January 2012). Like many, when the search began, I thought he would survive this. I saw many travel to New Mexico to increase the ranks of the search teams, many to send messages, to find ways to keep others inform with up-to-date minutes. It was amazing. Korima again, he may have thought. He gave much to us, and we gave what we could. Seeing this must have been comforting for his family and his friends. And all my sympathy is with them. I don't know if life is like korima, but he launched a circle of sharing in life for many of us. A piece done posthumously by one of his friends. Patrick Sweeney's gallery of photos from CCUM 2012 (no offense intended, I grounded my choice to use this link on this message on Facebook: "Here's my entire gallery from the trip. Feel free to copy, post, or print and set on fire any pics you'd like. ", 03/25/2012). A montage of pictures of the late Micah True by P. Sweeney. A short film about Raramuri with appearances of Micah True. Micah True did many appearances as a guest talk. Some versions were recorded and shared on the web. Like this talk. Many others are narrated on blogs. McDougall on Micah True. His hommage on Outside. A video where El Coyote Luis Escobar talks about Micah True and Barefoot Ted. 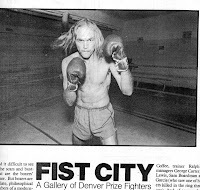 Caballo Blanco's Last Run, in the New York Times, by Barry Bearak. 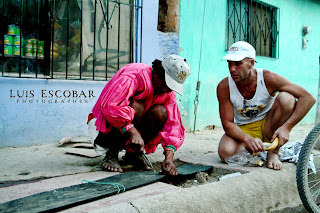 A discussion of Micah True's cause of death: It’s Not “Natural”, and Definitely Not Normal, to Die From Cardiac Arrest: The Death of Caballo Blanco, by Sock Doc.